A June 18, 2012, article by Courtney Rubin published at OPEN Forum reveals the best times to post to Facebook and Twitter based on analysis by link-shortening service Bit.ly. 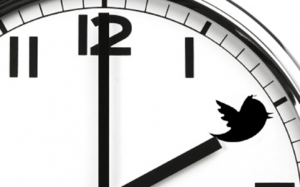 Click here to read the article entitled The Best Times to Tweet and Post to Facebook. ← Good News Monday: Powerful inspirational true story… Don’t give up!